We only use your email to send updates. 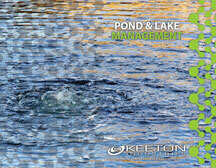 Contact us and we will get in touch with you to assist in maintaining or restoring your pond or lake. If you have questions about our products and services, contact one of our professionals.